FRANKLIN COUNTY – Firefighters mourn the loss of one of their own. Bob Bartosz photos. 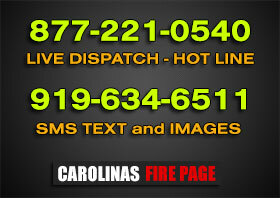 WAKE COUNTY – Fairview Fire and Fuquay-Varina Fire responded to a residential dwelling fire on Randall Road. HIGH POINT – High Point Engine 1 (A) after a recent house fire. Submitted by Jeff Thompson. HOLLY SPRINGS – Holly Springs Ladder 2 works to free the driver of a motor vehicle collision at Bass Lake Road and Holly Springs Road around 21:00 hours Monday night.